Humbert Hall is the only all women residence hall on campus. The hall is known for it's community atmosphere and the sister-like friendships that are formed here. Walk in and you'll hear girls giggling, reading, playing games, painting and just hanging out. 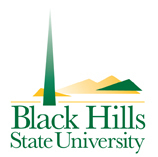 The only building of its kind in the immediate region, The Donald E. Young Sports and Fitness Center on the campus of Black Hills State University exists to serve the needs of the university and the greater Black Hills community. The facility houses: an 8,000 sq. ft. fitness center; an 18,000 sq. ft. gymnasium with 2 college size basketball courts, 6 baskets and 3 college size volleyball courts with 3,800 seating capacity; a 58,000 sq. ft. field house with a 200 meter 6-lane track (8 laps = 1 mile), bat/golf cage and 3 tennis courts, and 6 basketball backstops; an aquatic center with a 6-lane, 25 meter pool and a separate therapeutic pool; an athletic fitness room, athletic training room, varsity and community locker rooms; dance floor; student health services; concessions; ROTC headquarters; academic classrooms with audio and video capability; and the Yellow Jacket Hall of Fame room. Taking center stage at BHSU is our brand new music facility, the Clare and Josef Meier Hall, named in honor of the founders of the Black Hills Passion Play and long time supporters of the arts. Meier Hall houses a 280-seat recital hall; 8 classrooms; 2 large rehearsal rooms for bands, choirs and chamber ensemble; a keyboard and computer lab; a listening lab; a music education activity room; 15 soundproof practice rooms; and faculty studios. Woodburn Hall houses administrative offices, college classrooms and an auditorium. Woodburn was built in 1926 and is the oldest building on campus. Jonas Hall, BHSU's largest classroom complex is divided into the academic wing and the science wing. All science lab classrooms are located in Jonas. Jonas academic features many different types of classrooms and computer labs. The Union is the community center of the college, serving students, faculty, staff, alumni and guests. The union complements the academic experience through an extensive variety of cultural, educational, social and recreational programs. Weonona Cook is the only all-men's residence hall on campus. The hall is home to 120-140 residents with 40 to 50 residents per floor. Rooms are available in single, double and triple occupancy. Each room has at least one window and a sink. Community bathrooms are available on each floor. You'll also find a computer lab, laudry and mail services. Wenona Cook is only a short walk to the cafeteria and other buildings on campus. E. Y. Berry Library-Learning Center is a major resource center at Black Hills State University housing over 235,000 book volumes and 70,000 government documents. Micromaterials, including microfiche and microfilm, combine to add over 635,000 volumes of additional resource materials. Lyle Hare Stadium is home to BHSU football and track. The stadium features seating for 4200, a 400 meter track, long jump pit, press box with 11 separate areas, concessions and restrooms. There's no better place to cheer the Yellow Jackets on than right in the middle of the beautiful Black Hills. BHSU added softball as a sport in 2006. Conference match-ups and lady Yellow Jacket practices take place at the 3-field complex.